And he revealed it himself in a blog post titled, “I’m coming out”. 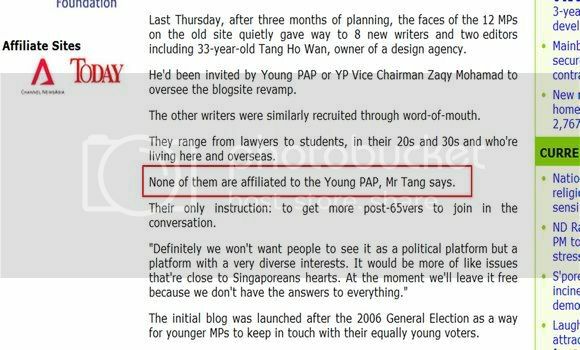 On 11 August, in the report on the 93.8FM website, one of the editors of the P65 blog site, Mr Tang Ho Wan, was reported to have said that none of the eight new writers on the blog was affiliated to the Young PAP. He was also reported by the Today newspaper as having said the same.